As American coffee consumers become more and more interested in consuming higher quality coffee, there is likewise an increased desire by roasters and consumers alike to understand how the process of growing, harvesting and importing coffee works. The vast majority of the world’s specialty coffee is produced in the equatorial tropics or as we call it, ‘the coffee belt’. The nations whose borders exist inside this area, in between the Tropics of Cancer and Capricorn, have the best climates and overall conditions for growing arabica coffee. In some regions coffee is cooperatively grown by hundreds or even thousands of small, independent farmers; in others family-run plantation estate or “fincas” are dedicated to the production of one or more varieties of specialty grade coffee. The degree to which cup profiles differ is based on a number of additional factors beyond origin location and varietal including terroir, altitude, soil composition, rainfall, humidity, processing method, screening and grading. In many coffee growing regions the local community and environment is best served by uniting the area’s individual farmers in cooperative production. (Recent studies have shown that) up to 70% of the world’s arabica coffee is grown by farmers who own 5 acres or less. In these regions co-ops are formed by groups of local farmers, tribesmen, pickers and mill operators; together they function as support mechanisms to manage and maintain infrastructure for the benefit of all. Cooperatively grown coffees are hand picked, sorted and processed as a singular lot, combining the output of all growers involved. Fair-Trade USA, a non-profit organization, exists to apply market-based approaches to provide farming co-ops with base level wages and resources for the prosperity of their community. 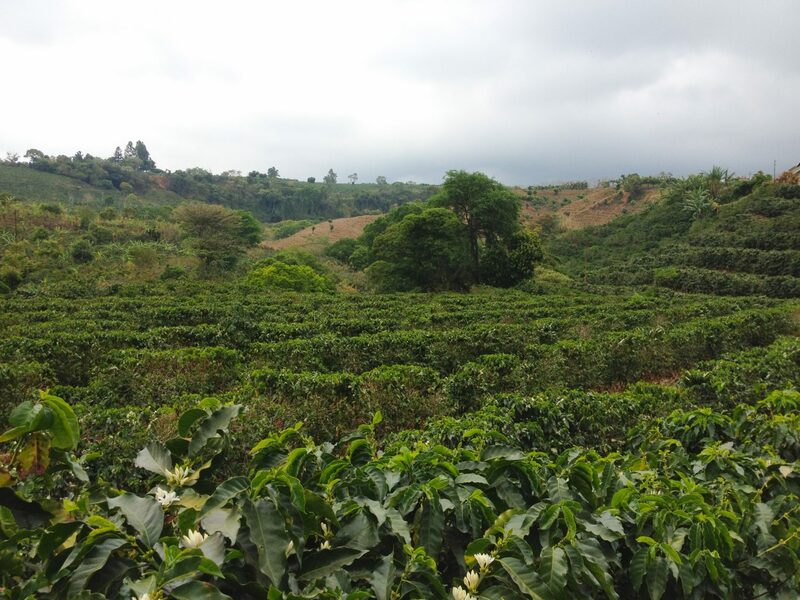 Estate or “single-estate” coffees are grown on a singular plot of land and are in many cases family owned and operated for multiple generations. By definition estates are not co-ops and therefore fair-trade certifications do not apply. That said, single estate operators generally receive the highest levels of compensation because they are able to command greater control and consistency over their varietals versus that of co-ops. Some estate farmers even manage their own processing and milling operations, and often dedicate a small portion of their land to producing a more specialized ‘micro-lot’. Some coffee farmers maintain a small quantity of a unique varietal or uniquely processed coffee separate from larger shipments. Indeed the rise of the small, quality-oriented coffee roaster has opened up the market for these less than full lots referred to as micro-lots. 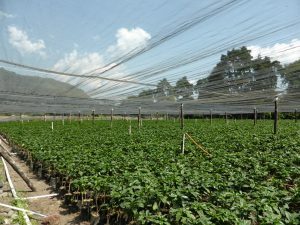 Farmers may either plant a different varietal of coffee tree or employ a specialized processing method in order to make this particular coffee stand out from others grown in the region. Micro-lots are typically priced higher than competing coffees from the same region due to their unique production, limited availability, additional production time and labor costs. The Arabica coffee plant was first discovered in the 15th century in the region of East Africa now known as Ethiopia. Yemeni traders were the first to receive exports of Ethiopian coffee, followed by the Dutch who are largely responsible for its global proliferation. The very first arabica plants were either 100% typica or bourbon varietals. By contrast there are today roughly 50 varieties of arabica coffee in worldwide production. Natural cross-hybridization and pollination techniques employed throughout coffee’s history has spurned numerous new varietals specially adapted for a number of outlets including particular climates, drought resistance, high volume production and fungal/bacterial resistance. While 100% typica and bourbon plants are still in production, the expansion of arabica has given us kona, caturra, catui, blue mountain, gesha, pacamara, the Scott Laboratories varieties (SL34, SL24, etc) and many, many more. From seed it takes about three full years for an arabica plant to become a mature coffee tree, producing cherries. Newly potted seedlings need to be carefully managed for at least 6 months in a well-shaded nursery before they’re ready to be replanted in the field. Not all seedlings will survive the process, but the ones that do will eventually produce about 3 pounds of cherries (or 1 pound of beans) per season. Most of the world’s specialty grade, single origin coffees are picked by hand. In fact there are only a few regions in the world that have a landscape accessible to mechanical harvesting: Brazil, Vietnam and Hawaii. Every other coffee growing region is so remote and high in elevation, the use of heavy machinery in harvesting is virtually impossible. Growers have four principal options available for the processing of coffee: Washed, Natural, Honey and Semi-Washed. The choice of one over another is generally that of tradition or native to certain regions. However, there are instances in which a particular process is purposefully employed to achieve a specific result in the cup. 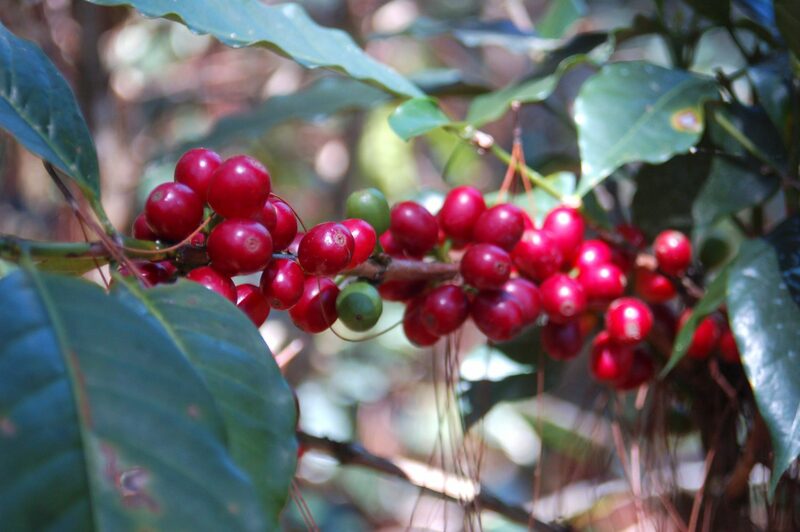 It is often stated that freshly picked coffee cherries possess the greatest raw potential for greatness and that nothing can be done at that point to add to or improve its quality. While true, the cherries must first be processed, milled, dried and shipped before reaching the roaster’s drum. The use of one process over another has a substantial impact on the final cup profile both in flavor and quality. 1. Washed – Washed or “wet-processed” coffees have the entirety of cherry (fruit, skin & mucilage) mechanically removed at a wet mill by a depulper machine before being dried. The cherries are first submerged in water, where the bad or unripened ones float to the surface and are removed. An initial pass removes the majority of skin, pulp and some of the mucilage, but further processing in the form of either traditional fermenting, aquapulping or machine-assisted processing are still required to thoroughly clean the beans. 2. Natural/Dry Process – Natural or “dry-processed” coffee cherries are left whole to raisin or dry in the sun for several weeks. It is a delicate practice native to Brazil and parts of Ethiopia whereby the best natural lots are continually monitored and rotated by hand to yield an evenly-dried result. Naturally processed coffees have a substantially greater body or mouthfeel and often greater sweetness or fruity notes as a direct result of the fruit mucilage or juices being absorbed by the bean during the process. Fully dried cherries are then stripped down to the bean in milling process that uses significantly (up to 50% less) water than washed coffees. 3. Honey Process/Pulp Natural – The term honey is often misconstrued as a reference to a honey flavor but actually describes the degree of fruit remaining on the bean before processing. Honey processed or “pulped” coffee cherries have their skin and pulp removed but portions of the fruit mucilage remain intact to dry in the sun. Yellow, red and black honeys refer to the amount of sun the beans are exposed to while drying. Yellow receives the most light (and heat) therefore drying the quickest in about a week, red for two weeks and black for two weeks plus. 4. Semi Washed/Wet Hulled – Semi washed or wet hulled coffees are traditional to the Indonesian island provinces of Sulawesi and Sumatra. Locals call the process “giling basah,” and its chief characteristic is the moisture content of the de-pulped parchment at the point of sale – Washed or Wet Process coffees are pulped, fermented, washed and dried in the parchment until moisture content is reduced to ~10 to 12%. This takes about 12-24 hours. Semi-Washed coffees on the other hand are pulped and dried for only a handful of hours until moisture is somewhere between 25 and 50%. At this point the parchment layer is still intact along with a good portion of the mucilage, causing the beans to be gummy and sticky if not outright slimy to the touch. With regards to flavor, the extra mucilage profoundly alters the cup profile by providing more sweetness and a heavy body—the cups are earthy and almost tea-like in structure. Semi-washed coffees are dried in the parchment on natural clay or dirt patios where the beans freely absorb the characteristics and minerality of the soil, which in turn contributes greatly to their earthiness—the classic hallmark of a pacific island or Indonesian coffee. Semi-washed beans have a bluish hue and frequently curly shape when compared to other green types. Fermentation – Fermentation involves soaking the depulped beans in a water bath to breakdown any residual fruit mucilage until the surface of the naked bean achieves the proper texture – similar to that of a smooth, washed pebble, as opposed to a slimy cherry pit. 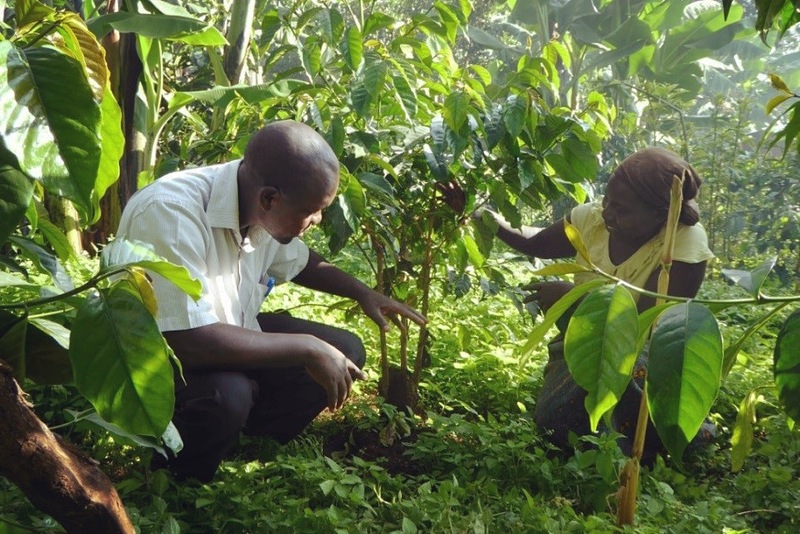 Raised Beds – Raised beds are commonly used with dry processed coffees but are also often used with washed coffees. Waist high screens allow airflow to pass underneath the beans, assisting in the drying process, but also requires hands-on monitoring to make sure the entire lot is evenly dried and to avoid buildup of mildew. Patios – Patios can be constructed from a number of materials including, stone, brick, concrete and clay. Coffees laid out on patios are sun-dried and require raking a few times each day to make sure they are evenly dried and to avoid the occurrence of mildew. Dry milling or de-hulling is the final stage of processing where the parchment layer surrounding the bean is removed along with any residual dried mucilage from previous stages of processing. Specialized dry mills or hulling machines are generally used to speed up the process. Grading is an integral part to the production of specialty coffee. The term however has different meanings in different parts of the world. There is grading according to bean size, grading measured by elevation and grading measured by the SCA in terms of specialty grade and below specialty grade. For countries which measure by screen, numbers 8 through 20 correspond to how many 64ths of an inch the screen holes are in size allowing beans to pass through. In Central America “strictly hard bean” (SHB), “hard bean (HB) and “strictly high grown” (SHG) refer to coffees grown at high elevations (1200m + above sea level) as a general descriptor of bean size and occurrence of peaberry. Once coffee is dried and graded, it’s ready for export. The beans are packed in either burlap, jute or Grain-Pro bags before being transported to the exporter’s warehouse where they will be weighed, priced and marketed to importers from around the globe. Many co-ops and single estate farmers are paid on the spot by the exporters on a weighted basis that reflects the commodity price per pound of coffee plus any premiums added on for specialty quality. Additional processing or limited quantities of a particular lot can fetch even more of a premium, as is the case with the production of microlots. What is the role of an importer? The story of the importer is often neglected with minimal regard to our part in the farm to cup supply chain. As importers we serve as the communication link between farmers, roasters and ultimately consumers. Our responsibility is to certify quality, appropriate fair exchanges, manage risk, and avoid shipping delays. 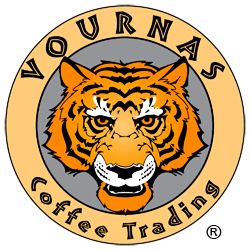 Everyone who is a partner in the Vournas Coffee supply chain needs to be made strong and fairly compensated. The farmers we work with receive industry-leading premiums, professional support, and consistent annual purchases. Likewise our roasters receive quality assurances, financing and risk management. 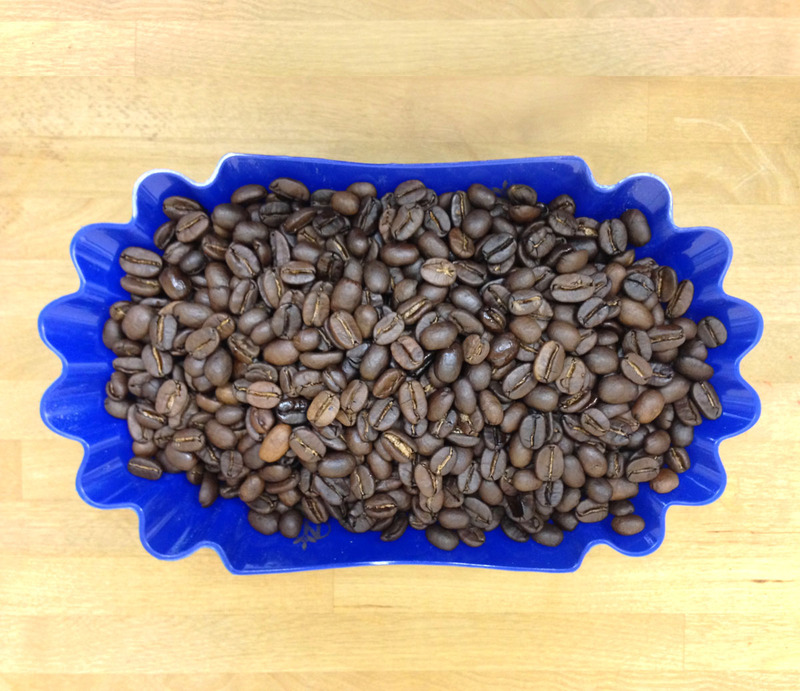 We highly recommend conducting sample roasts of new origins to pinpoint an ideal degree of roast. Crops change year to year depending on a number of variables, and the ideal roast of a given origin may be different enough from previous years for adjustments in the roaster to be necessary. The coffee bean itself is a celluose-based structure with wood-like properties, and when roasted, the celluose molecules have to be converted to simple sugars. For the roaster, determining the perfect roast degree somewhere in between light and dark is a matter of skill and expertise. For the ideal cup, the correct roast is largely based on which region from which the bean originates and the altitude at which it’s grown. The scale from light to dark of roasted coffee begins at what’s called a “city” roast and ends at either French or Italian. In general coffees roasted on the lighter end are snappier, grassy, less sweet and have higher caffeine content, whereas coffees roasted all the way to French are more roasty in flavor, have less caffeine and risk obscuring natural origin flavors. 1. City – The end of first crack. Here the bean has expanded under heat, releasing water and CO2. Surface color has faded from yellow to a mellow tan, and sugars have yet to be developed. 2. City+ – Additional time has elapsed since first crack, the surface texture of the bean has become more uniform and the color deeper in tone. As the molecular structure of the bean’s cellulose breaks down, sugars begin to develop. 3. Full City – On the brink of second crack and a mere difference of 30-45 seconds between roast degrees allows for even more sugar development to balance natural acids. Trace amounts of oil may be observed on the surface. 4. Full City + – The bean has just entered second crack with audible snapping and crackling. Its cellulose structure physically fractures as conversion into sugar compounds is in full swing. Entering the cooling phase at this point or “coasting” allows the roast to be stopped at the desired degree without obscuring origin flavors. Bean color is a deep, rich mahogany brown. 5. Vienna – Second crack is currently ongoing and origin flavor begins to be obscured by roast flavor. We are firmly in the dark roast camp here, and most coffees will begin to resemble one another regardless of origin. 6. French/Italian – Second crack is almost ended. Oil is readily visible on the bean surface and severe caramelization of sugars is ongoing as the bean structure begins to fully carbonize and surface color takes on a blackened appearance. At this stage much of the flavorful and aromatic oils, compounds and essences of the coffee have started to burn off. The intended brewing method for a given roast has a key role to play in how it is developed in the roaster. Think of coffee brewing as the final “cooking” phase of the coffee bean, therefore brewing methods such as espresso have traditionally been roasted to a slightly darker degree because significantly less time is needed for the actual infusion and extraction when compared to drip or pour-over methods. Roasts intended as espresso also perform well as cold brew because the use of cold rather than hot water in the extraction likewise allows for the majority of the cooking to be achieved in the drum of the roaster. We recommend consistent, mid-road City + roasts for most cupping situations. Cuppers should utilize no less than three samples of each origin to analyze profile and judge quality. Coffee cuppings can either be performed blind or non-blind depending on the situation, desired outcome and learning experience. For the experienced roaster in search of a desired origin, say Honduras, one may cup non-blind to specifically identify the best lot for purchasing. For novices and beginners, it can be helpful to cup many origins at once in order to gain an understanding of their similarities and differences.